Every parents have their to enroll their child in best school. Choosing best schools for kids in Kathmandu Nepal is tough job. Panini Education Network (PEN) acquired the school name Panini School which was established in 2074 B.S. (2017 A.D) founded by dedicated & renewed educationists, Located in prime locality of Pepsicola, Town Planning , Khahare Kathmandu Nepal could be one of the best qualifier to enlist the name in title best school in Kathmandu Nepal. Spread areas a wide area of 12 ropanees of land with well equipped earthquake residential and environment friendly infrastructure. Thus Panini school well deserves title the best school in Kathmandu Nepal. The Best schools in Kathmandu Nepal equips future generation with the Knowledge of physical world with ethical socio-cultural values. The motto and aim of School is to equip our future generation with the Knowledge of Physical world with positive vibration including spiritual, physical and mental growth by producing skilled human encourages that includes formal education coupled with technical education named as Pentagon Technical College and Cambridge College of Engineering affiliated to C.T.E.V.T. Having Knowledge of physical world with ethics and moral values creates an environment for schools to be qualified as Best schools. Attaining knowledge over any of the languages (including English) mother tongue plays a vital role to incorporate quality language which has been proven scientifically. Since Sanskrit is the base of most of the languages spoken or written it is very important. And while nurturing children adopt excellent moral character and good education in school, Sanskrit has been integrated with PEN curriculum. 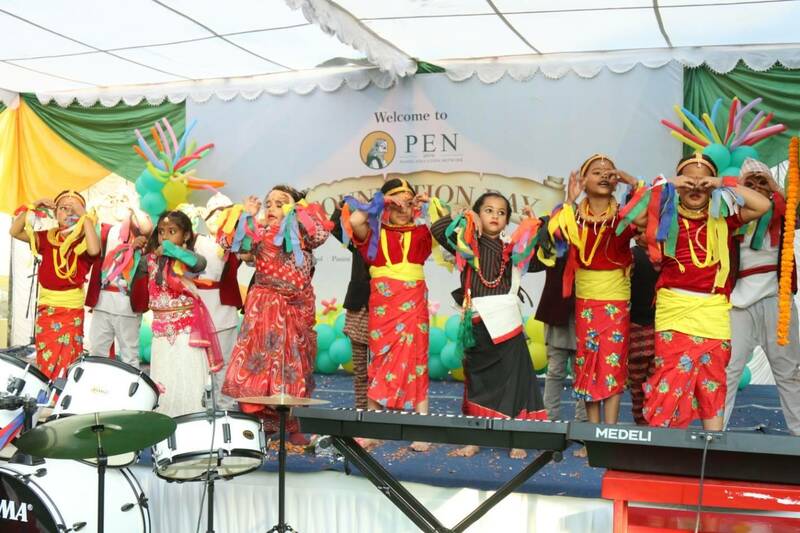 Our contribution to children would be not only to provide knowledge based on language but also teach them respect norms and values, enhance positive thoughts and become more civilized, these factors are what Panini school can be thought as the best school in Kathmandu Nepal. It feels great and energizes every member of Panini family when people reveal our school’s name with a title called “Panini a cultured school”. The world in which we are living in, itself is a divine gift enriched fully with natural beauties which includes human life in this beautiful planet. And yes truly, life of human beings exists only because of nature around. Based on these natural resources the scientists have elaborated every natural things into artificial in the age of this modern science. Therefore Panini School strives to fit in its motto to every child enrolled, interact and acquire knowledge of nature to a maximum. The above multiple aspects of education environment provides a school to be recognized as best school. Panini school deserves this title in Kathmandu Nepal. Panini school concerned with the physical and mental health of its students. Due to which Yoga is incorporated as its co- curricular aspect. We believe that it creates strength, awareness and harmony in both mind and body. The relaxation techniques incorporated in yoga can lessen chronic pain such as back pain, headache and so on. In one hand it benefits physically to increase flexibility, muscle strength, maintains a balanced metabolism, protection from injury etc. on the other hand, its meditation part can improve a person’s mental well- being including mental clarity, increasing body awareness, relaxation of mind and also sharpens concentration. In addition Yoga can help with early detention of physical problems and allow for early preventive action. With these beliefs with the principles of yoga, Panini runs its regular yoga classes except on Friday and Saturday with the instruction and involvement of highly knowledge personality (Yog Guru) compulsorily for 45 minutes for the physical and mental well-being of its students. We believe “yoga is not just repetition of few postures; it is more about the exploration and discovery of the subtle energies of life. We believe we are the only school in Nepal which has implemented yoga in regular manner to enhance quality in student’s health and education in collaboration to yoga. In this regards, Panini schools can be considered as the best school in Kathmandu Nepal. We determine ourselves to be the best schools in Nepal as we theorize innovating enrichment programs for the students to develop their skills and knowledge. We believe that there are innumerable things which are practically impossible to learn without actually doing them. Panini prioritizes practical learning beyond the books and has implemented beautiful and cultured programs throughout the year. We have designed cultured, profitable and scholarly programs to assemble our students such as drip irrigation botanical garden digital teaching learning methodology, yoga swimming sports etc. In this regards, Panini schools can be considered as the best school in Kathmandu Nepal. Beyond the book conceptualizes about the significance of smart world with its smart world with its smart activities. this is It integrates the real life experiences and brings into the classroom through presentation, videos etc. it influences students to explore, discover and conserve the diversity and enhance their integrity to build. It facilitates to move along with the updating global issues and provides space to get identical with their need, desire, potential and power that are engraved within. Apart from this, students get directly connected to the nature. Students update themselves with agricultural education, mental spiritual development, science etc. they are encouraged to participate in every activities to benefit themselves throughout the learning provided to them. We feel proud when we see our students learning things in a happy enriched environment, as we bestow the children with kind and expert facilitation of the trainers and teachers. These sorts of innovating courses are really boosting our students to emerge themselves from the boundaries. In this context, Panini school can be considered as the best school in Kathmandu Nepal. Food not only energizes the body, it also develops the physical and mental growth 0of every individual. Whereas children of all age needs adequate food that is rich with fat, protein and vitamin to struggle with today’s hectic challenged routine to maintain balance between health and education. Eventually Panini designs programs in such a way that fits a child in every atmosphere of today’s world and for all these a proper maintained health is school’s foremost concern. Therefore we always ensure well balanced meal for our children. For this we have a very standard, hygienic and well managed cafeteria and kitchen along with well-trained chefs and supporting staffs. We believe, this factor is also major contributing factor that qualifies Panini school the best school in kathmandu Nepal. These wide and diversified categories of sport facilities inspire our school children and guardians to treat Panini school as Best school in kathmandu Nepal. • Practical teaching/ learning with adequate references. These qualities are parents choices to treat a school as best school in Kathmandu Nepal. Above all, we have a deep feeling that we have been able to implement our programs in an international level standard in a country like Nepal with deep core understanding of ethical and moral values to meet local and global communities through programs like semi-residential and full boarding system as a progressive co-educational organization. 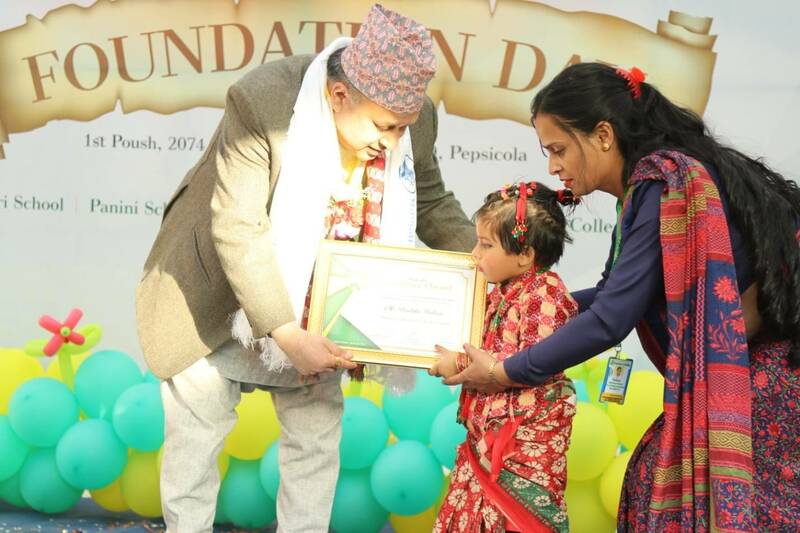 We are continuously improving on each and every sector of focused learning, managed education, and kids friendly environment, this always inspiring us to become the best school in Kathmandu Nepal. How to best schools are helping diverse students find Common Ground? School is considered as the most sacred place where discrimination against ethnicity and culture is totally avoided. So, going along with the flow Panini school highly encourages the diversity amongst the students in the same platform. Best schools in Kathmandu are finding a common ground for diverse students with induction of various extra-curricular activities such as Yoga, Swimming, Sports, Music etc. 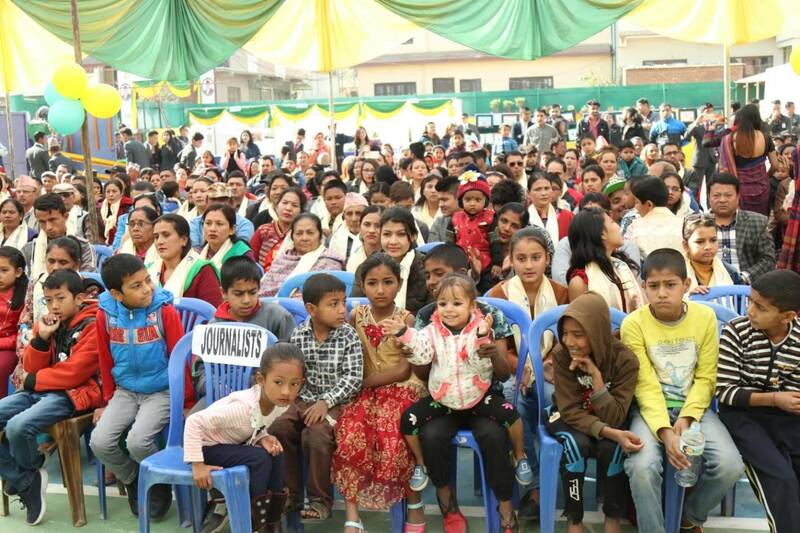 to bring best out them in Kathmandu. Since the present scenario is unfavorable globally for the people of all age groups regarding culture, natural calamities, conflicts and other social threats, Panini schools tries to input will and power in children to cope up with such trouble and trigger through its different life skill programs like Yoga, counsellings, interaction and trainings in best ways. Best schools must have proper policies and procedures to reduce day to day biases in school. In order to realize this in schools, teachers must be trained in best ways regarding origin of bias, its consequences, and measures to alleviate the biases. Best schools in Kathmandu Nepal are concerned about these facts. Panini school is a school that accomplishes interest and need of every individual to form a complete culture and harmony among them. For this particular sake, our team members are highly encouraged to widen moral ethics into children to promote in brotherhood. we bring constant programs like motivational and cultural workshops to children at least once in two months that helps children with us reduce implicit bias. How teachers at Panini School can help students who fail in class to succeed in life ? Every child is a treasure in him/her. We believe “a book cannot be judged by its cover.” Children involved at Panini school are molded reinforcing and supporting their interest and potential in best ways through enthusiastic involvement and interaction of teachers and professionals. What best policies can schools have in upbringing students with disabilities? Good schools must have best instructors to handle and keep care of students with disabilities. We at Panini school have facilitated disability care trained instructors who are well experienced in this field for a long time. We at Panini school, teach kids the learning materials mixing it with art in kids friendly environment. This help kids to best understand and realize socio-cultural empathies in school. How can teachers becomes best to help students who fail in school classes or assignments? We have developed different activities that would perfectly stabilize children who under-go misconduct and low moral values through our best programs like Moral Session,Yoga, Meditation and also by creating an environment for active participation and interaction of children physically and mentally. Every child is a treasure in him/herself, we put our best effort on children through regular programs which uplift their overall development. How Panini School is finding best ways to Help High Schoolers Find Purpose? As Panini School, PEN runs a formal school education integrated with technical education, moved along its motto “hands are to be moved rather than mouth”, we mould them to develop adequate academic and best life skills quality for supportive living standard and of course, through high level of academics. What are the best ways to motivate children in school? Schools can set progressive goals to achieve best result. Make sure you are helping children in best ways not ruling in school. Music is the best way to make kids happy in school and drive them in best ways in School. Interactive kids friendly best games to support their physical and mental growth. Best Schools treat kids as if it is their second home. Teachers must be trained in best ways in school before they handle the kids. Discovering kids best passion in school via proper interaction with them. Celebrate kids accomplishments make the happier at its best in school. Best strategies at school is to excite them discovering their internal passion. Which are the best games for kids in school? Pencil-and-paper games: Kids love these games making best arts in school and fun. Indoor hopscotch for saving life at best in school. Treasure hunt best kid love games in school. What are the ways to make children best friends among themselves in school? School should provide kids friendly best learning environment at school. Teachers should act as their best friends rather than a boss to help them become friendly inside school. Interactive best games are to be introduced at schools. Collective social best community works can be launched inside school facility. Develop best moral values in school to realize school kids that unity is the best strength. Nurture kids in school with best moral values. Parents should identity school kids best area of interest. Provide kids the best platform to learn and grow at school and home. Best homes should be treated as Best schools and vic-versa. Kids first and best school is always the home, so nurture kids at home as if it is their best school. Understand and realize kids emotion rather than putting only concentrated machine driven best efforts as like school. Make children grow and learn their best at home as if you are both teacher and friend like in school. Spend time with your in kids in most productive and best ways so that they become the future learned beginning from home school. Love your kids the best as best teacher in school and get love from your kids the best as best loving student in school. Which are the best places in Kathmandu to visit for school kids? Shivapuri Nagarjun National Park is one of the best destination for school kids to see and learn from nature. Durbar Square Kathmandu is best to explore the culture or history of Kathmandu for school childrens. Garden of Dreams is a popular best tourist place in Kathmandu to visit for school kids. Ashok Binayak is not only the best religious heritage site but also full of ancient arts which is extremely useful for learning purpose for school children. What are the best extra-co curricular activities that can be implemented in school? There are many interactive best activities which can be conducted in school for children. We have listed few of them. Makers Space: It is one of the most creative and interesting art and technology best program which up brings education level of school at world standard. Yoga and Sankrit education are another two promisingly best areas where children at school not only grow up with academic knowledge but also learn to explore themselves. Inter class singing and dance best competition at school helps children grow mentally and physically the best. Football, Volleyball, Badminton etc. sports are one of the best sports that a school can adopt. Promoting agricultural and best modern techniques of farming knowledge at school also helps children to realize the importance of farming to our country where 80%+ people are dependent on farming. Education through best audio video techniques at schools. Use of best art and technology at school. Whats are the best kids songs to motivate children at school? A Bright Tomorrow by Rock Solid Kids is a beautiful best song to encourage kids and exposure their hidden talents in school. Celebrate the Children by Mrs. Music is another best song that shows hope of your dreams are only the children in school. Celebrate by Debbie Clement reflect the sense of inner pride by showing how education can be best tuned as the celebration of every day at school. Give Me A Smile by Mrs. Kate is an amazingly best song to love kids and make them happiest in school and outside. Just A Little Seed, I’ve Got Potential by Liz Buchanan is next best song to motivate kids in school. Kids Are The Future by Skip West also reflects the best essence of role of good education at school to build of nation. Little Things by Street Smarts shows how small things could build up the best character and future of kids in school. Wonderful Day by Stephen Fite is another beautiful best melody song to keep spirit of love and friendship among school children.